It’s here! The short story my husband has been working on the past few weeks, Barrel of Fun, is now published and free for a few short days on Amazon. Grab your copy while you can, and tell your friends! Stanley Danslow is a two-bit private eye. He’s not Phillip Marlowe or Sam Spade, though. Danslow’s the guy you go to when you think your spouse is cheating on you, or the insurance company thinks Joe Blow’s running a worker’s comp scam. So when the beautiful Mrs. Tellinghousen comes in and asks Danslow to check out her husband, who she thinks just might be a killer, he’s a little out of his depth. He doesn’t find out just how much he’s out of his depth until he’s in way over his head. It’s a wonderful way to spend a Wednesday! 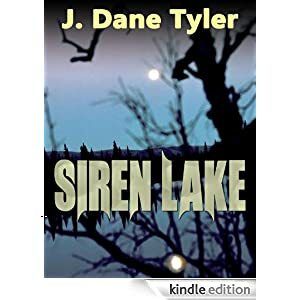 Right in the middle of the week, get a free book, spend a couple hours reading and relaxing … well, if you can call hiking around a scary lake relaxing. Ah, you know what I mean! It’s a fun story, and a creepy story, and there’s even a little sub-story going on too. Grab your copy now! Just click on the pic below, or the link at the bottom. Happy reading! Tam is a curious soul. When she overhears some small town teens talk about a monster in a nearby lake, it’s more than she can resist. Then she finds out the lake has been closed for years. The town’s drying up because of it, and plenty of people have gone missing on or near that lake. What’s happening, and why? Is the monster legend real? When Tam tries to unearth the truth, the lake ranger steps in to put a stop to her digging. But Tam’s never been one to just give up and go home. She’ll find out what’s happening at Siren Lake, or die trying. Check out this cover. Isn’t it gorgeous? Darc had a friend of from DeviantArt do some photography work and this is the result. Her name is Jen and she runs Xcetera Photography. She does some great work. Thanks, Jen! This is one of my favorite stories of Darc’s. I remember when he wrote it, and being so moved by the prose. And now you can have it. Free. Until tomorrow. She danced under the full moon, a vision of beauty and romance from the ocean’s frothing waves. The moon struck in her eyes and captivated me. Before long, our hearts beat as one. But something forlorn lurked just beneath her beauty, something which grew stronger as the moon waned. I fell in love with her, hopeless and deep. But the moon grew stronger in her eyes even as it faded in the sky toward new, and she insisted I know her. I dig into my memories but she’s not there. And how, oh how under Heaven, could I forget the only person I’ve ever loved like this? And it’s FREE! Just this week, today through Saturday. What’s it about? Let me tell you! A cowboy. A dragon. A lonely trail, twenty years long. Connor is a licensed Hunter, and carries the gleaming silver irons to prove it. He’s been hunting a particular dragon for twenty long years. When he lands in Gray Gulch, the old farmer Jed tells him a story of loss and revenge. But Connor’s not interested in riding with a partner – until Jed describes the very dragon Connor’s been chasing. Connor lets Jed join him on the trail, and they set out after the dragon both men loathe. But Connor is a man with a history and a mission. One he won’t let anyone interfere with. At any cost. His single-minded purpose is tested when he discovers things aren’t exactly what he thought. Though he’s been on it for much of his life, he learns the trail still has a few mysteries for him to unravel. It’s a pretty cool story, if I do say so myself. I like the people my husband invents. I like seeing how they navigate through the messes he puts them in. And it helps a LOT that he’s a good writer. This one’s got a little bit of pretty much everything, so give it a whirl! Then tell us what you think in the reviews. 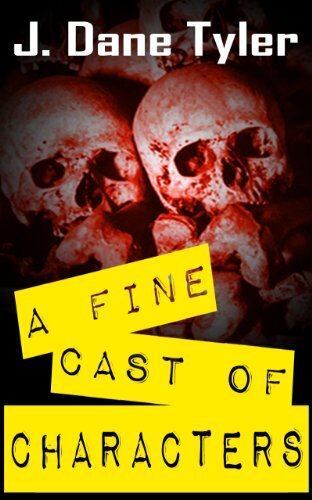 You can click here Scales of Justice [Kindle Edition] or click the picture. Thanks! They may be all the same 26 letters, but I have to make sure they’re all arranged in the right order, Mr. Smart-alec Kitteh. Anyway, yep, the proofs for my husband’s most recent non-fiction project are in. This time, they’re in digital format. The nice thing about that is I can adjust the size if I need to. Damn aging eyes! Hopefully, this editing team did better than the last one. But then, you knew that, didn’t you? That’s what’s going on with me. Anything new going on with you?